Cleaning water with Aquatic Mint! Using an incredible plant, Aquatic Mint water mint, to purify polluted streams. Aquatic mint had kept a secret until recently. Its power is huge. The plant has revealed an immensely wonderful ability: the capacity to trap the pollution present in its environment, specifically in water. So how not to start thinking about an amazing plan to save the many damaged rivers on our planet? What if we could use water mint to create a green filter in order to clean polluted rivers? This discovery could be a game changer at a time when water quality and its protection have become major issues for our society. 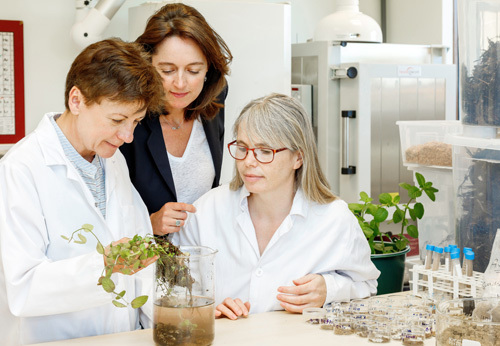 As making it real requires testing and proofs, Klorane Botanical Foundation has chosen to share resources with some of the greatest research teams: the Bio-inspired chemistry and Ecological Innovations Lab. An innovating project is born. ... with a full-scale pilot project. In order to put to the auspicious promises of Aquatic Mint, only real conditions will do . 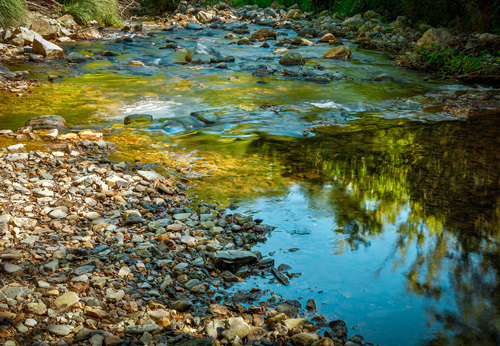 We have chosen a place in south-central France, the valley of the Vis, where past mining activities have polluted a stream with heavy metals. And on for an ambitious project! 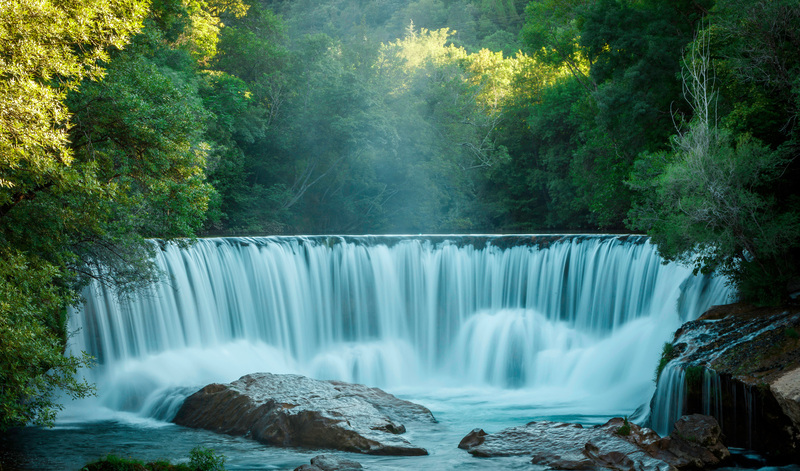 Large natural filters made with Aquatic Mint (more specifically, its roots, dried and grinded) will be placed in the polluted streams flowing down from the mine, before they reach the Vis. Further down the filtered water will meet the plant gain, in a basin, where water mint will have been planted (therefore remaining alive) in order to catch any leftover common metal particle. The project did not come out of the blue. Lab research came first and got everyone's hopes up about the possibilities of a new water cleaning system. Initial results for the research led on Tsinghua University, China, were incredibly conclusive and demonstrate the exceptional capacity Aquatic Mint has to purify water loaded with toxic bacteria and algae. 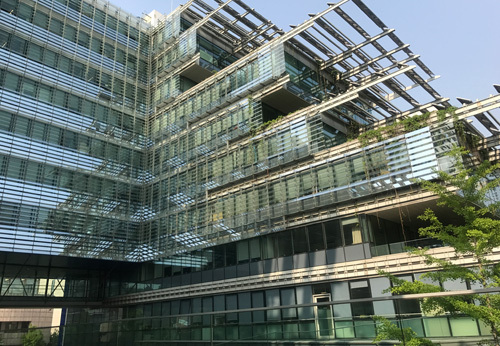 Other lab protocols came along to confirm these results, such as those led by the Bio-inspired chemistry and Ecological Innovations Lab we have undertaken this action with, focusing on water polluted by heavy metals. Their results were breathtaking: Aquatic Mint roots displayed exceptional talent to absorb metal particles. The time had come to move from lab testing to real conditions testing, with the hope that the results could lead to a full democratization of this new type of natural filter. 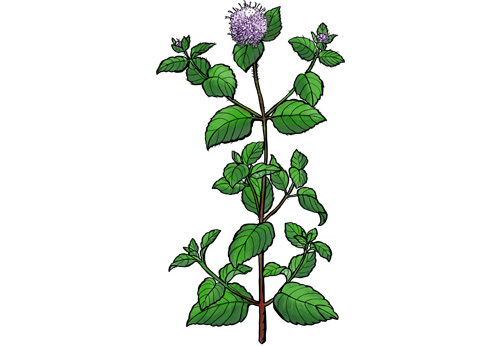 This short perennial plant, Mentha aquatica, is about 14 to 20 inches high and grows in moist places such as river banks. It blossoms in July, but its strength is far from being just esthetic: Aquatic Mint is a genius when it comes to depolluting water. Klorane Botanical Foundation is working hand in hand with the School of Environment of Tsinghua University, in China. The experts have managed to prove the amazing abilities of water mint to purify water from the kind of toxic algae often found in standing water and prevent its development. The water in the valley of the Vis is no isolated case when it comes to pollution, as we all know too well. And water issues go far beyond pollution problems: water on our planet is to be saved overall. Our resources in freshwater, when not polluted, are diminishing due to climate change, deforestation, human activities... Today, it is urgent that we protect our water if we want to save biodiversity and humanity.